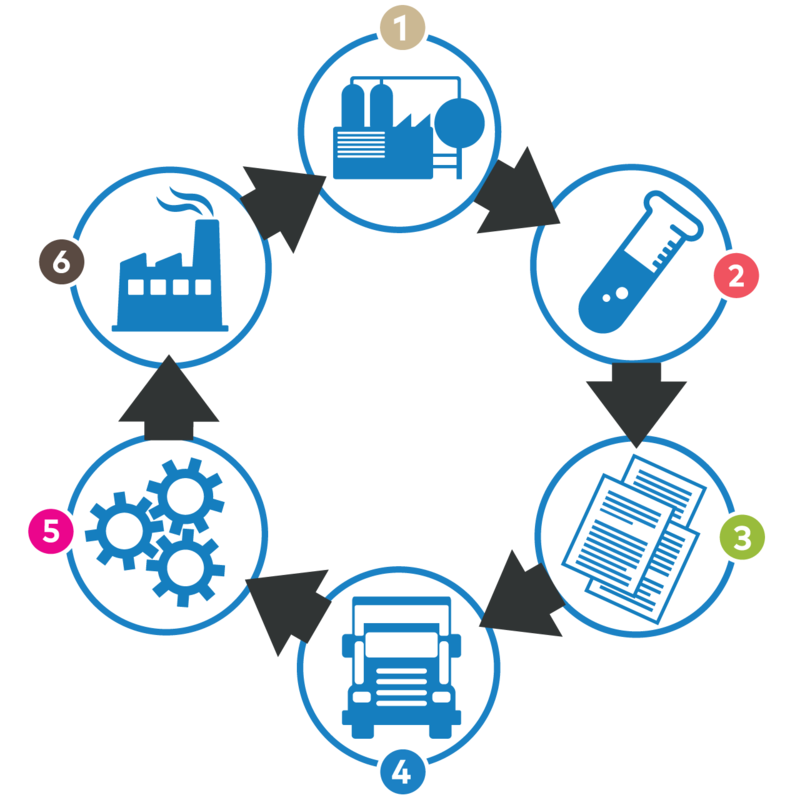 We provide Full-Loop Recycling, especially for spent catalyst. Due to our own recycling chain and close collaboration with partners, Cradle to Cradle® becomes possible for any catalyst users. Spent catalyst is converted into products with both ecological and economic value. All processes are handled by a highly experienced MOXBA team. Analysis – A qualified laboratory provides sampling and analytical services. 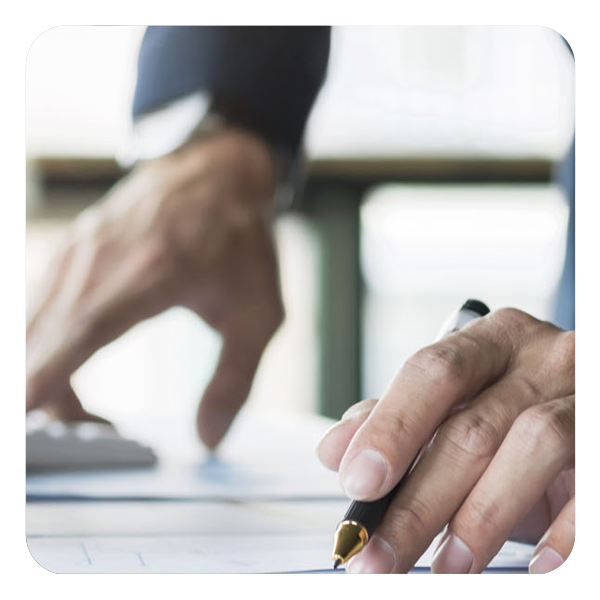 Formalities – We take care of arrangements for documents and licenses for each procedure with your cooperation. All trans-frontier shipments are carried out in accordance with the European Council Regulation (1013/2006) for shipments of waste. Transportation – Spent catalyst is transported in a safe and responsible way (ADR/IMO classified). Decisions about packaging are made after consultation with you. The MOXBA Catalyst Bins Rental Service provides an advanced packaging option. Manufacturers – Our products are mainly used as raw materials for the production of fresh catalyst, stainless steel, or special alloy industries. Our Heerlen plant has its own laboratory where ICP analysis can be applied to samples to determine which elements are present in a waste stream. 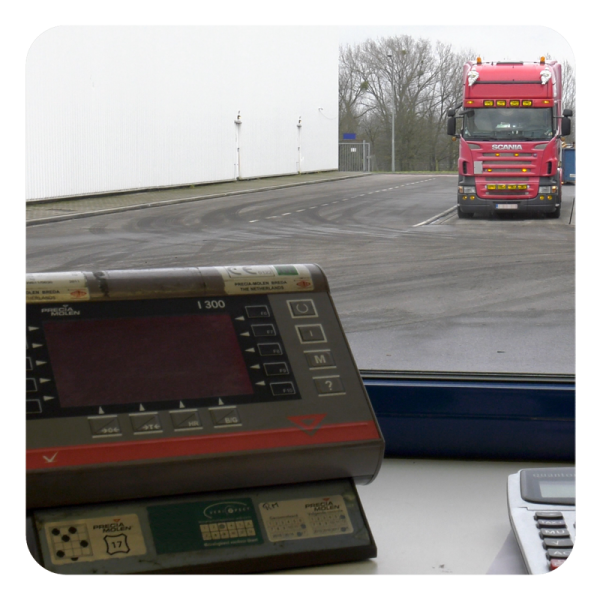 XRF detection can be done at both our Almelo and Heerlen offices. By knowing what elements are present in waste materials, our team can offer the best recycling solutions. Sampling and analyzing allow us to obtain the highest yield of metal recovery at our melting and leaching plants. Our logistics team will assist you in arranging shipping documents as well as other formalities. All trans-frontier shipments are carried out in accordance with the European Council Regulation (1013/2006) for shipments of waste. In line with the latest environmental developments, our facility in Heerlen is pre-authorized. Our notifications are valid for three years instead of the standard one-year period. As a result, notifications via MOXBA make processes smoother and easier, both inside and outside the EU. All necessary transport licenses and international notifications can be supported by our qualified team. With our experience of the latest EU regulations and Basel conventions, our logistics team can assist you with arrangements with local and national authorities if requested. Our logistics team will support you with transportation in a safe and responsible way wherever it takes place around the world, including transportation and waste which are classified as ADR (by road) or IMO (by sea). Specific packaging instructions are decided in consultation with our team. For some of your spent catalyst, the MOXBA Bin Rental Service will be the best solution. MOXBA owns PGS 15* storage facilities, which have sprinkler systems, leak-proof flooring, separate drainage systems, and modern fire alarm installations. 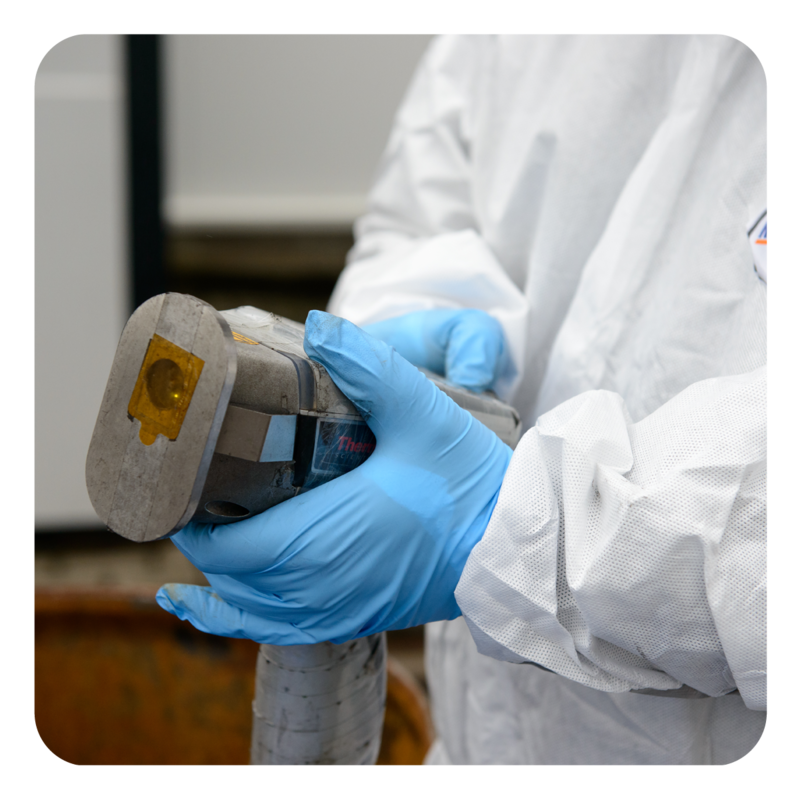 We can store thousands of tons of hazardous waste in compliance with the latest environmental and safety requirements. 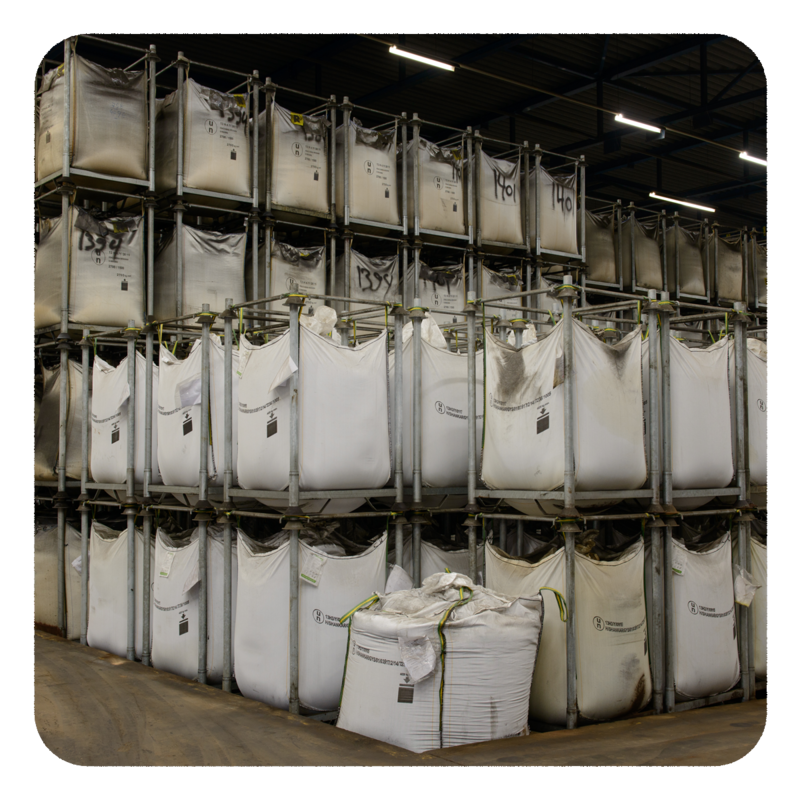 Not only waste materials packed in drums, containers, or big bags, but also loose materials and self-heating (pyrophoric) materials are stored in separate compartments.